Photo eye tests (if your door is equipped with an automatic opener system). 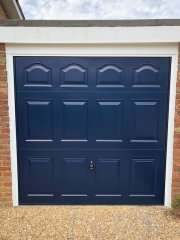 If you are looking for a garage door, then look no further than A and P ! 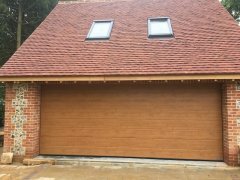 You will be delighted about the various types of garage doors available in the market, catering to different purposes and needs. It is recommended that you should know the varied types available so that a wise selection can be made. We are here to help every step of the way, so call us for all the help and assistance you require for getting the right door for your garage needs! 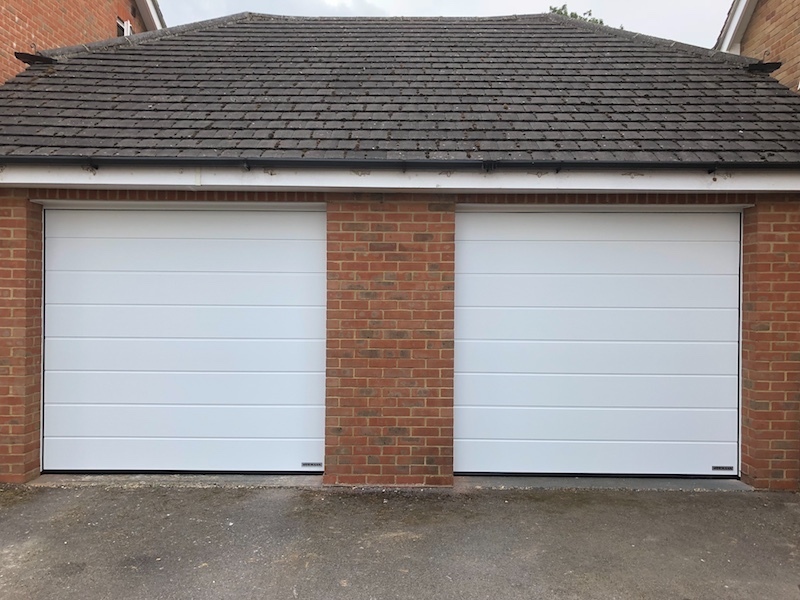 Garages are one of the most vital parts of a house, as it is the place used by us to store our vehicles, tools as well as other miscellaneous items. 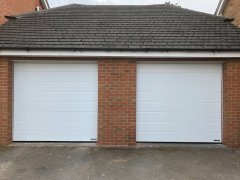 When it comes to the garage, the most important, rather significant part of the garage is the garage door. 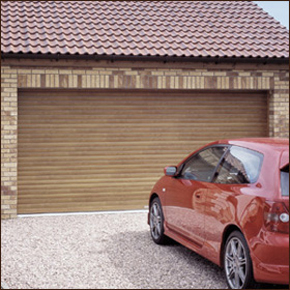 It is the garage door which dictates the look of the garage as well as the functionality and safety. Up and overs – As the name implies, up and overs are those types that first swing towards the driveway and then move up. Once it is completely open, it is aligned to the ceiling of the building. However, they do need some space for their opening and swinging. Suitable for most applications and driveways. 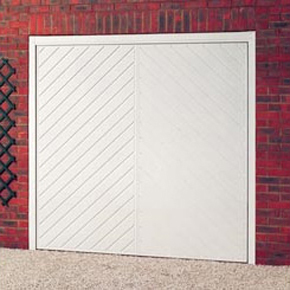 Sectional doors – Sectionals are segmented into large subdivisions along the breadth of the opening. The sections then open upward into the ceiling space of the building. 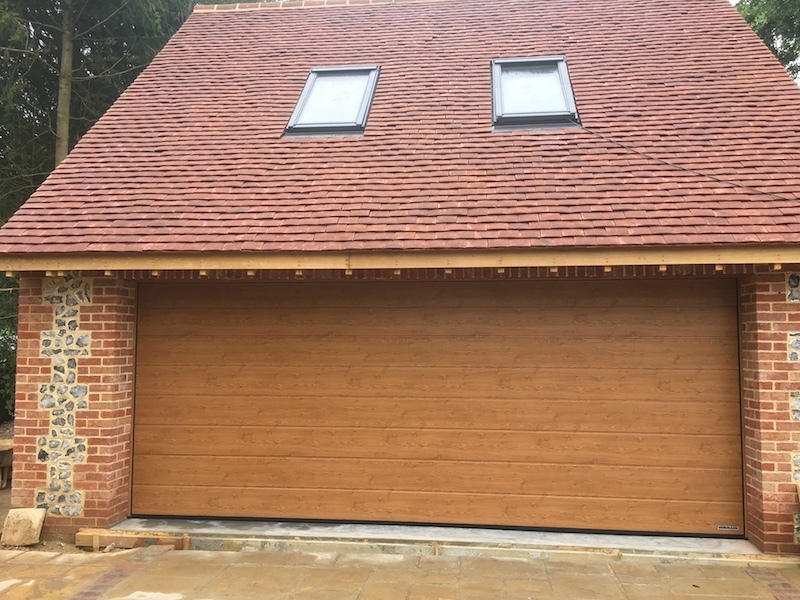 As the door stays within the frame, the clearance to the driveway is cut down significantly. 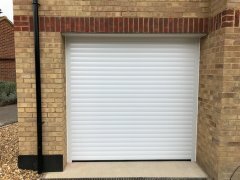 Roller Shutter garage door installations and repairs – Roller shutters are an ideal option for buildings with space problems or houses with short and narrow driveways. They are made of narrow strips of metal that wrap around a drum positioned above the opening. These do not have any overhang, swing or reduction in width. The operation of these is generally controlled with the help of a remote control. This simply means that you need not leave your car to open it. 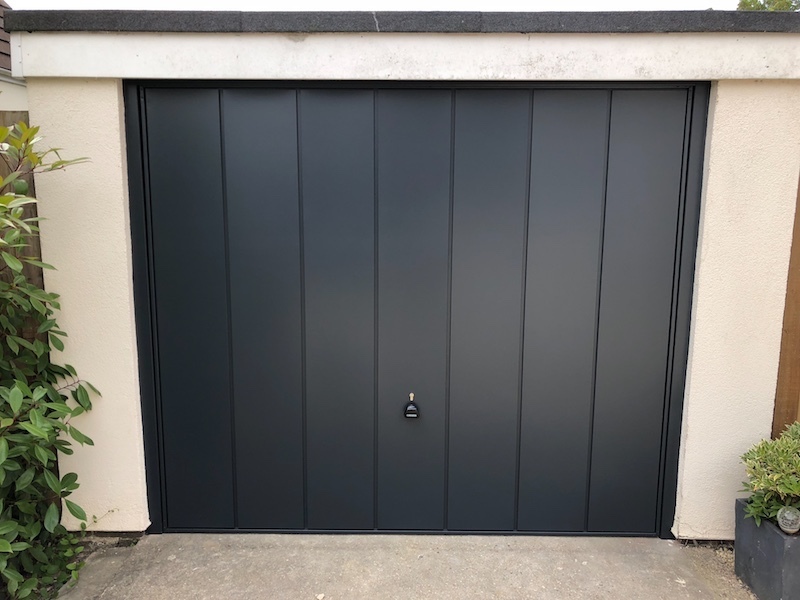 Swing hung garage door installations and repairs – Swing hungs are very much similar to the traditional type that are hinged to the opening of the frame. Needless to be say, but these doors require space in front of the area, so that they can be opened easily. Therefore, these are not recommended for narrow or short driveways. As options for plastic garage doors continue to improve, this type of material has become increasingly popular. This is the lightest weight opener on the market. It puts almost no strain on the mechanics and offers the most silent option. The drawbacks to plastic are lack of resistance to force, and the colours tend to fade after years of sun exposure. Metal is a better choice than wood if you don’t want a lot of maintenance. Steel leads the pack because it is relatively inexpensive yet tough. Bare steel rusts, so you need to touch up scratches promptly, and steel also dents. High-quality steel ootions may have long warranties on the hardware, laminations between the steel and any insulation, and factory-applied paint. Budget doors tend to have shorter warranties on some components, such as paint and springs. Fiberglass offers a more durable alternative to wood. 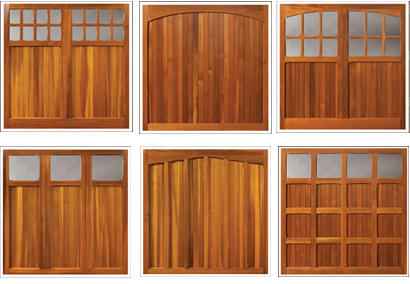 They can be made to closely resemble wood and fiberglass garage doors can withstand moisture and insects. Fiberglass is also far more flexible than wood, which prevents warping. Cheap aluminium styles, once common, have largely been replaced by sturdier versions with heavy-duty extruded frames and dent-resistant laminated panels. Rugged and rust-proof, this is a wonderful choice—if you are looking to spend money on a long lasting item. Wood offers a charm and authenticity that other materials merely mimic. Wooden styles can be made in whatever size you need, and they stand up well to bumps from basketballs, footballs, cycles and the like. The downside is that they require frequent repainting or refinishing, especially if you live in a damp climate. Simple yet easy to fix? Like most things they are pretty simple devices until they break down. Up, down, up, down, repeatedly until they all of a sudden stop functioning the way they functioned before. Luckily, that easy existence often leads to simple and easy maintenance. Occasionally, though, even dependable aged parts can fail. Got a problem with yours? Check out the mounting brackets that keep the tracks to the building. In case they've loosened, tighten up the bolts or screws at the brackets. While at work inside the garage whilst shut, take a look at the tracks for dents, crimps, or flat areas. If you can find any specific affected areas, pound them out with a plastic mallet, or with a hammer along with a block of waste wood. If the tracks are severely affected, they need to be renewed. Horizontal tracks must slant a bit down towards the back end of the building; with roll-up doors, the vertical parts of track need to be accurately plumb. Either track has to be at the exact length on the wall space. In case the tracks are not appropriately arranged, loosen but try not to take out the screws or bolts that secure the mounting brackets, and tap the tracks gently into position. Recheck the tracks with the degree to ensure they're in the appropriate spot; then tighten the screws or bolts at the mounting brackets. As soon as yours starts behaving strangely, usually it is letting you know it's time to carry out a small amount of servicing. Therefore, before triggering the worry key, try out this uncomplicated maintenance. First of all, look at the tracks and rollers. Give the guides a good brush and lube well before moving on to anything else. The easier the door moves, the better it will function for longer. Noisy items cause all kind of problems, especially for anyone who has to sleep above or next to it. Fortunately, most noisy problems can be fixed with a combination of routine maintenance and the replacement of a few parts. On swing-ups, check the plates where the spring is mounted to be sure the screws are tight, and tighten any loose screws. On roll-ups, check the hinges that hold the sections together; tighten any loose screws, and replace any damaged hinges. Sagging at one side can often be corrected by servicing the hinges. If a screw hole is enlarged, replace the screw with a longer one of the same diameter. If the wood is cracked at a hinge, remove the hinge and fill the cracks and the screw holes with wood filler. Let the filler dry and then replace the hinge. If possible, move the hinge. Caution: If a roll-up has one torsion spring, at the center of the door, do not try to repair it. The tension is so great that the spring could injure you. For those with this type of spring, call a professional repair service. A&P are here to help with any requirement, so do not try and repair what you are unsure of, let us take care of it for you!